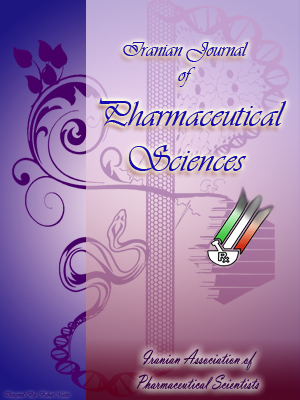 This study aimed to investigate the anti-angiogenic activity of Vitex agnus castus methanol extract in vivo. Eggs were incubated for three days, small whole made on the fine pinpoint, next day the egg’s sac penetrated and a small frame was made in the shell. The window was resealed and eggs were returned to the incubator until day 10 of chick embryo development, 20 µl of 500mg/ml of the methanol extract transferred to the Chick Embryo Chorioallantoic Membrane (CAM), and eggs incubated for 72 hours (n = 6); The zone of inhibition calculated as mean of inhibition area in millimetre (mm) ±Standard deviation (SD). Functional groups of the chemicals component inside the extract has been identified by Fourier transform infrared spectroscopy FT-IR and High performance liquid chromatography HPLC used to identify the most likely causative agent. The results showed that the zones of inhibition area more than 10 mm. FT-IR showed that some of the identified functional group may relate to flavonoids. Casticin has identified in methanol extract. Because of the above results the mechanism of anti-angiogenic activity for the methanol extract of the Vitex agnus castus may relate to the Casticin which has the ability to block the VEGF-receptor, thereby inhibiting the angiogenesis process.